But in the meantime, you really should consider investing in a hybrid car. Hybrid cars will save you money at the pump every time you fill up your tank. 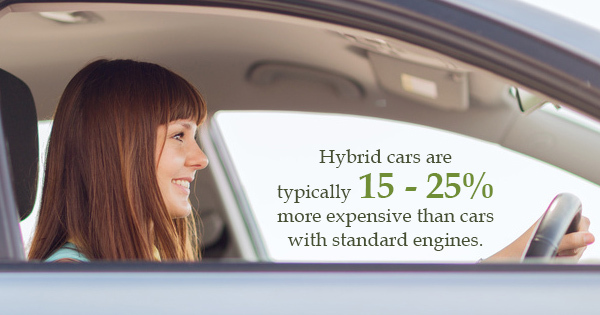 Yes, hybrid cars are typically 15 to 25% more expensive than cars with standard engines, but hybrid drivers make up that cost several times over at the pump. And because hybrid vehicles are about 20 to 35% more fuel efficient than other vehicles, they produce 20 to 35% less emissions. Now, when most people hear the word “hybrid,” they picture a Toyota Prius. When it comes to the hybrid car-branding battle, Toyota has undoubtedly secured a massive victory for their flagship green car. Even so, rival automakers have improved their hybrid offerings by leaps and bounds as the market for green cars improves year after year. Honda’s are known for their fuel economy. According to the Environmental Protection Agency’s official ratings, the 2000 Honda Insight was the most fuel efficient gas-fueled auto ever made, with a 61 miles per gallon highway rating that outstrips some hybrids on the road today. So how does the Honda hybrid fuel economy for the 2015 Honda Accord compare? Ok, so what car has the highest mpg? When you compare the 2015 Honda Accord vs. 2015 Toyota Prius, the Honda hybrid fuel economy loses. You’ll also find lower prices at your local Toyota dealership, and Honda hasn’t produced nearly as many 2015 Accords this year. However, the Prius has earned extremely harsh reviews for its clunky handling, and reviewers say the Accord offers a much smoother ride with more power under the hood. Plus, the 2015 Honda Accord safety ratings were better than the Prius. If you’re going to be driving around with kids, then you should definitely weigh the higher safety ratings against the slightly lower Honda hybrid fuel economy.